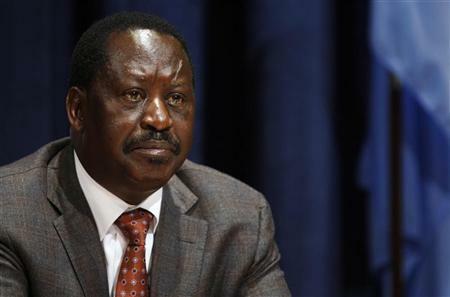 The opposition leader Raila Odinga wants the government to stop imposing curfews on the Northern Eastern region especially at this time of Ramadhan. According to Raila, the curfews imposed by Uhuru government a few months ago is doing more harm than good as it has marginalized the people and is proving to be an unsustainable way to combat security. The CORD leader who was accompanied by Kalonzo Musyoka was speaking during a meeting they had with the governor of Wajir county Mr. Ahmed Abdullahi. He said that the government has set a curfew leaving terrorists to roam freely and its not helping at all. He also said that the government should give all Kenyans above the age of 18 national identity cards so they could vote responsible leaders.